Nuala Woulfe Beauty: Antioxidant Lip Repair by Skinceuticals. 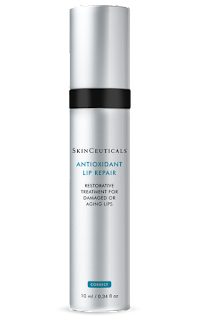 Antioxidant Lip Repair by Skinceuticals. SkinCeuticals Antioxidant Lip Repair combines two powerhouse antioxidants, milk thistle (silymarin) and vitamin E, creating an anti-aging defence and powerful moisturizer for the lips. This antioxidant combination not only provides protection from environmental elements like smoke, but also against UV light which can dry out and crack the lips. 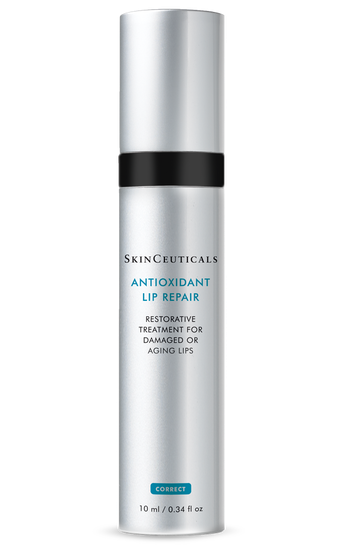 Antioxidant lip repair works on a cellular level to renew the cells giving a fuller, smoother and healthier overall appearance of the lip area. Antioxidant Lip Repair is an emollient treatment which helps improve environmental damage, while smoothing and refining the lips surface. Two powerful antioxidants, vitamin E and silymarin, neutralise free radicals and soothe and heal dry, irritated lips. • Alpha tocopherol (vitamin E): In addition to its antioxidant properties, vitamin E helps to nourish and repair dry skin . Study shows that The basic profiles of Silymarin permeation via skin route were established. • Hyaluronic acid: This natural humectant is capable of retaining 1,000 times its own weight in water, making it an effective moisturiser.